Where is Weber Scientific located? What type of products does Weber Scientific distribute? What are the telephone numbers for reaching Weber Scientific? How can I receive printed literature and be added to your mailing list? I just want to receive information by email, such as your monthly newsletter and promotions. How do I sign up? How do I access Material Safety Data Sheets (MSDS) or a Certificate of Analysis? I would like to evaluate a sample of certain products before I order? Are samples available? Are product specifications subject to change? Are products I buy covered by a warranty? Does Weber Scientific offer credit terms to individuals? I am interested in placing my first order with Weber Scientific, but I cannot wait for credit terms to be established. What can I do? Do I need to send a confirming order? What forms of payment does Weber Scientific accept? What is the 1-2-3 Day Delivery Program? How Does the 1-2-3 Day Delivery Program Work? How Can I Calculate the Total Delivery Days in the 1-2-3 Day Delivery Program? Are There Any Exceptions to the 1-2-3 Day Delivery Program? What products ship as hazardous materials and how is this handled? What should I do if there is any breakage or shortage when I receive my order? What is your exporting policy? I operate a business outside the United States. Will I be provided with a Freight Quote prior to my order being shipped? Does Weber Scientific prepare my export paperwork for me? What are the payment terms for export orders? Is there a minimum dollar amount for export orders? Q: Where is Weber Scientific located? A: Weber Scientific is located in Hamilton, NJ. Q: What type of products does Weber Scientific distribute? A: Weber Scientific has grown since 1959 to become a major supplier of specialized quality control equipment used for dairy, food and water analysis. For a broad listing of products currently offered by Weber Scientific, please refer to our products page. A: Our Customer Service Department is available to take your orders or answer your questions Monday through Friday between 8 a.m. and 5:30 p.m. EST. Q: What are the telephone numbers for reaching Weber Scientific? Q: How can I receive printed literature and be added to your mailing list? A: Our web site offers you the opportunity to request literature while online. Please take a moment to complete the form. Once you have submitted your information, you will be added to the Weber Scientific mailing list, only if you requested. Q: I just want to receive information by email, such as your monthly newsletter and promotions. How do I sign up? A: Simply enter your email address here. We never give out email addresses to third parties. A: Yes! We have been serving the food and dairy industry since 1959. Order with complete confidence with our no-nonsense 100% Satisfaction Guarantee. Q: How do I access Material Safety Data Sheets (MSDS) or a Certificate of Analysis? A: They are available in our online catalog on the applicable product page (click the MSDS/COA tab). 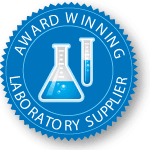 If you cannot find what you are looking for please call our customer service department at 800-328-8378 or email us at info@weberscientific.com. Q: I would like to evaluate a sample of certain products before I order? Are samples available? A: No problem. We carry an inventory of free samples for many products as identified in our online catalog. Simply request by Weber item number and mention sample. Samples of many other products may also be available. Please ask. Q: Are product specifications subject to change? A: Not likely but possible. The catalog specifications and descriptions are of necessity condensed to conserve space, but they are as accurate a representation of the items as possible. In order to keep abreast of the latest developments in design and construction, we reserve the right to change and alter specifications, to substitute improved forms and add new ones. Q: Are products I buy covered by a warranty? A: As a distributor for many of the products described in this catalog, Weber Scientific warrants the representations made herein accurately reflect the manufacturer’s representation to Weber Scientific. We expressly disclaim all other warranties, whether expressed, implied or statutory, including the warranty of merchantability and fitness for use. Most products carry warranties from the manufacturer and should be returned directly to them for warranty service. We can and will assist in these transactions. Q: How do I establish credit terms for my business? A: Weber Scientific offers immediate Net 30 Day credit terms to government agencies, educational institutions and certain businesses. To learn if your organization is eligible to receive instant credit at Weber Scientific, please call our Customer Service Department at the toll-free telephone number listed on the navigation bar above. In addition you can also complete our credit application. Q: Does Weber Scientific offer credit terms to individuals? A: Sorry, we currently do not offer credit terms to individuals. However, we are pleased to accept either Visa, MasterCard or American Express as methods of payment. A: We accept Visa, MasterCard or American Express. Weber Scientific offers immediate Net 30 Day credit terms to government agencies, educational institutions and certain businesses. To learn if your organization is eligible to receive instant credit at Weber Scientific, please call our customer service department at 800-328-8378. Q: I am interested in placing my first order with Weber Scientific, but I cannot wait for credit terms to be established. What can I do? A: Weber Scientific offers immediate Net 30 Day credit terms to government agencies, educational institutions and certain businesses. To learn if your organization is eligible to receive instant credit at Weber Scientific, please call our Customer Service Department toll-free at 800-328-8378. Q: Do I need to send a confirming order? A: Not necessary, but if you send one, please clearly mark Confirmation to avoid duplication. Q: Is my order subject to state sales tax? A: Only orders shipped to New Jersey, Nevada or Missouri addresses are subject to state sales tax. If you are tax exempt please supply us with the appropriate form. Q: What forms of payments does Weber Scientific accept? A: We accept Visa, MasterCard, American Express, as well as checks denominated in U.S. dollars and drawn on a U.S. bank. Payment made by customers operating in countries outside of the United States may be made through a U.S. dollar draft, or a confirmed irrevocable letter of credit on a U.S. bank. A: Yes, the modest minimum order amount is $10. A: If after inspecting your order, you are not totally satisfied, call our customer service department at 800-328-8378 within 30 days for replacement or return authorization. Before returning goods for repair or any other reason, please communicate with us for return authorization. This permits us to make suggestions concerning shipment. Q: Are Standing Orders available? Quantity Discounts. A number of our products have quantity discounts. Some laboratories cannot always purchase the largest quantity at one time, space constraints being a common example. However, when you place a standing order for these specially marked products, in a quantity meeting or exceeding the largest quantity break, you can specify shipping releases of lesser quantities, but you will be eligible for the best possible pricing. Availability. We strive to always have all items in-stock. But in those rare instances when the demand for a product causes tight supply, all customers with Standing Orders always get priority shipping. Preserves Flexibility. Your schedule may be modified as necessary. Q: Do you offer same day shipping? A: Absolutely! Place your order by 3:30 p.m. (Eastern Time Zone) and your order will ship the same afternoon. Q: Do you offer rush shipping? A: If you are in a special rush, let us know – UPS Next Day, Second Day or Federal Express Service can also be arranged immediately. Q: What is the 1-2-3 Day Delivery Program? A: When you order from Weber Scientific we will route your order so that all (or part) of it arrives at your facility within 1, 2 or 3 business days. Any upgrade in the level of service over basic UPS ground service will be done at our expense – not yours! Combined with our existing Same Day Shipping Pledge, this expedited routing program will insure prompt delivery to any location in the Continental U.S. – all at no extra cost. To shorten delivery times even further an inventory of large volume products ship out of our Nevada warehouse for delivery to Western states and out of our Missouri warehouse for selected Southern and Midwestern states. Q: How Does the 1-2-3 Day Delivery Program Work? A: Place your order by 3:30 p.m. EST and your order will ship that very same afternoon. Your order will be routed via basic UPS or FedEx service if delivery is scheduled at 3 business days or less. If the delivery schedule indicates more than 3 business days, we will upgrade your order to 3 day select service at no extra charge to you. You pay only for basic ground service. Q: How Can I Calculate the Total Delivery Days in the 1-2-3 Day Delivery Program? A: This can best be explained by example. Let’s say you are located in California and call in an order to us on a Thursday morning. We will give it to UPS later that afternoon. The first delivery day would be Friday, the second would be Monday (weekends don’t count), and Tuesday would be the third day. All of our Continental U.S. customers can now expect delivery from us in 3 days or less. In this example, by Tuesday- at the very latest. Many of you will still continue to receive your orders within 1 or 2 days! Q: Are There Any Exceptions to the 1-2-3 Day Delivery Program? Any order containing any material defined as a hazardous material either by the D.O.T. or UPS. However, when feasible, we will “split” your order so that you receive your regular lab supplies in 1, 2 or 3 days, while your hazardous items will arrive later on a separate shipment. Drop ship orders direct from our manufacturers. On a select number of items, only the first case – of multiple case orders – will be upgraded to UPS 3 day select service (where applicable). The remaining cases will ship by ground and you should receive them within 1 – 3 days of receiving your first case. However, if you need to receive more than one case of these specially identified items within 3 days, then let us know when ordering and we will be happy to upgrade additional cases. Note: Distributors are not eligible for this program. Q: What products ship as hazardous materials and how is this handled? A: Products so identified must ship as hazardous materials (HAZMAT). We welcome you to contact our Customer Service department for additional details about HAZMAT shipping requirements and surcharge fees. In general, HAZMAT fees apply whenever shipped by either UPS or FedEx, currently $33.00 per shipping carton for ground shipment. Air shipments require a $93.00 fee. To avoid most HAZMAT fees, if your order contains hazardous materials that require four or more shipping cartons, we will route via common carrier, which may not have any, or have greatly reduced, HAZMAT fees. Additionally, some products identified as HAZMAT may qualify for “Limited Quantity” regulations, eliminating the need for HAZMAT fees. HAZMAT orders are exempted from our 1-2-3 Day Delivery Program. Q: What should I do if there is any breakage or shortage when I receive my order? A: Immediately upon receipt of your shipment, unpack and inspect for damage. Do not accept a damaged shipment until the carrier makes a Damage notation on your delivery receipt or freight bill. If a shortage or damage exists, you should immediately request the carrier to make an inspection. Retain all containers and packing materials for the inspection. The carrier must be notified of any concealed damage and an inspection request within 15 days of delivery. Q: What is your exporting policy? We will ship your order via parcel service or common carrier to a freight forwarder of your selection located in the continental United States. The F.O.B. point is Hamilton, NJ, U.S.A. Your freight forwarder will then be completely responsible for arranging transport from the United States to your facility. Our export customers generally prefer this option because it saves on freight charges. We can ship your order directly to you if you provide us with your UPS or FedEx account number. All freight charges are collect. Unfortunately, we are unable to quote freight charges or shipping weights prior to shipment. Q: I operate a business outside the United States. Will I be provided with a Freight Quote prior to my order being shipped? A: Unfortunately, we are unable to quote freight charges or shipping weights prior to shipment. Q: Does Weber Scientific prepare my export paperwork for me? A: Documentation is not provided with orders unless we are instructed to do so at the time the order is being placed. There is a $50.00 documentation fee for each of the following documentation services: 1) Preparation of a pro-forma invoice prior to shipment, or 2) Preparation of any export declaration documents. Q: What are the payment terms for export orders? A: We are pleased to accept either Visa or MasterCard as the only methods of payment. Q: Is there a minimum dollar amount for export orders? A: Yes. The minimum order amount for export orders is $200 U.S.